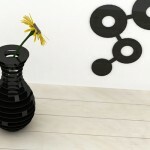 ThirtyFive Creative Works has designed this interesting transforming vase that can become a wall decoration. Multifunction at its best. 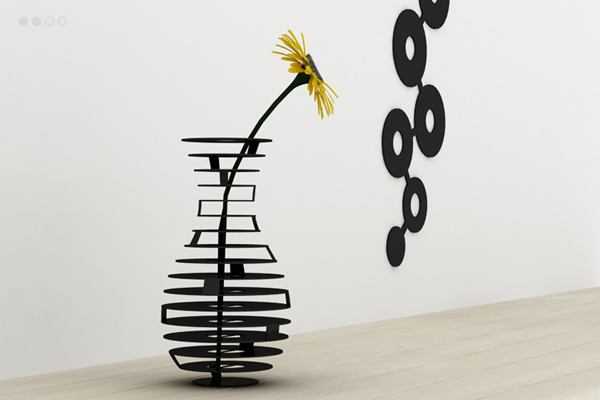 The stylish HighRise vase is made of powder coated stainless steel consisting of the interconnected circles of various sizes. 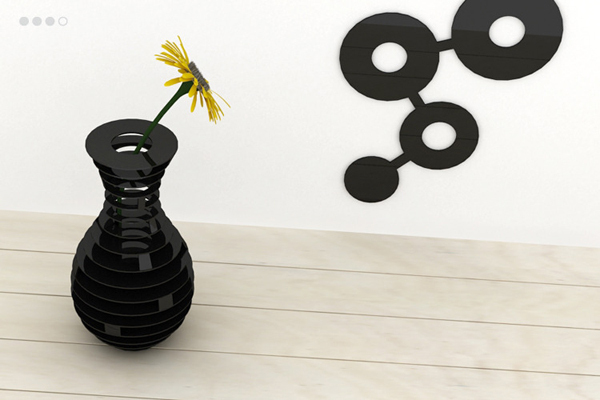 The cool transformer vase comes in black, red and white colors. 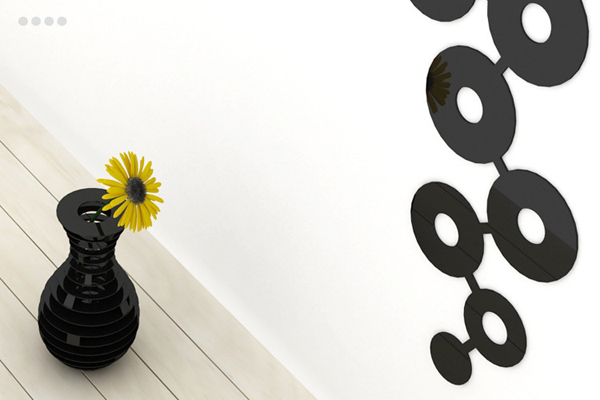 Highrise is a dual function object which can be used as a vase or wall accessory. 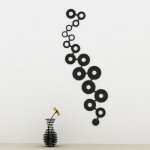 It can be hung flat on a wall as a decoration without altering the form in which it comes out of the package. Or the circles can be bent parallel, in which case the outside contour forms the shape of an elegant vase.If purchased as a pair, they make a nice set in which the same object is used in two very different forms and functions. This piece is great. 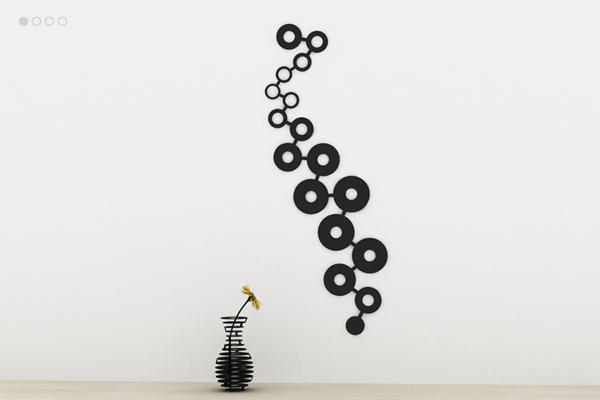 It can be rearranged into a stylish wall decoration or simply decorate the walls hanging as it is. 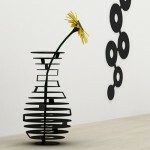 The vase piece is structured and sharp which is perfect for the modern home decor or any public space. The combination of the two look even better. 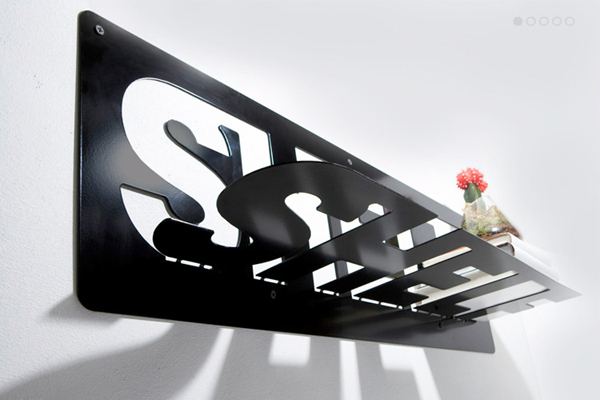 ThirtyFive Creative Works is a design studio that specializes on creating clever products like Typeshelf that spells “shelf” while the cutout letters serve as a surface for storing books and other objects. The studio’s main principles are creating thought-provoking original designs while using the Earth’s resources consciously.